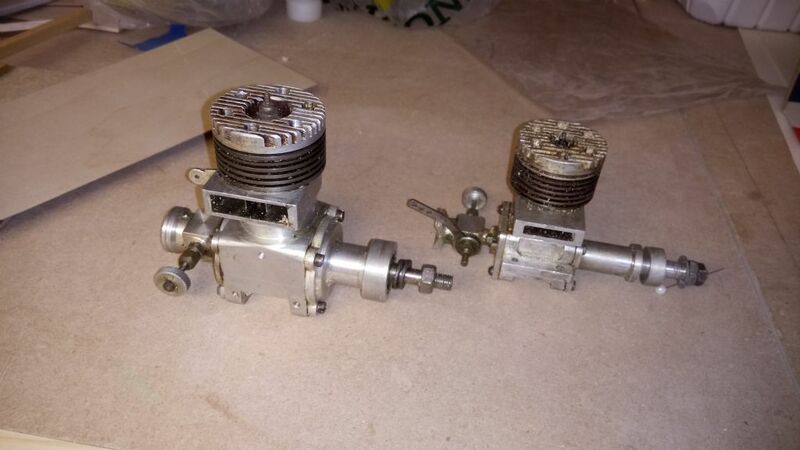 Only just found them and was intrigued as to what they may be, don't have a silencer that would fit so no plans to run them at the moment, the larger one looks at least 10cc (and is missing a prop driver too). The crackcases are machined so could be home made but the fins and heads look like they have been cast. They are either a homebuild or possibly a very limited production run, can't be too old as the carbs are RC versions. Note not shown clearly in the photos, but the carbs are offset from the centre line so I suspect they have disc valve induction. We'll maybe have to strip one down for further investigation. They are both on the RC Models page when I go in, the airframe kit only at £44.95 and the full monty including MPX receiver for £364.95, the Kit only is good value but the full set up is more expensive than other places. Maybe being sold off as the Fun Jet 2 is now out. Not a lot, helping the widow of a club member sort out his modelling stuff and found these in a plastic bag. He wouldn't have made them, he was a wiz at model building but never got into machining. Anybody have any information on what these are? A fellow club member has a plug in hybrid car, which he runs entirely on battery power for all his journeys, the other day it started to use the engine and a message came up that the engine was running because the fuel was getting old and needed to be used. He had filled it up several months previously and now it wants to use the fuel before it goes off. Both of my T tail gliders, a MPX Heron and Staufenbeil Vegas have the elevator servo mounted in the tail with a straight pushrod to the elevator. The Heron uses a similar L bend in tube fitting to what you describe, but the tube is an engineered item which is glued into a recess in the elevator, the Vegas uses a small paxolin horn and standard clevis. Would you feel brave enough cutting into vertical stab to fit a thin wing servo with a straight pushrod to the elevator, this would give you positive action with little or no slop. Jonathan a 2s Life Rx pack is fine, you don't need a 3s. A123 cells are Life chemistry, but they are packaged like Nimh cells in a metal casing, very robust. My Wots Wot with a Thunder Tiger 75FS is a peach. Re balancing, when you are in balancing mode the charger diverts a small amount of the current around the higher voltage cells via the balance cable, so they charge up slower than the lower voltage cells, typically this is around 100 ma, which is why it can take a long time. You shouldn't really need the wizard for an mcpx - the stabiliser unit in the model looks after all the clever mixing (in theory!). 1. Normal, straight line throttle curve, with pitch going from slight negative and increasing with throttle, so throttle/collective back gives motor stop/slow and negative pitch, advancing the throttle increases power and pitch. I've got a Balde 300 and mCPX on my Spektrum and have only ever flown them in curve 1, I don't have the reflexes or skill for 2. Sounds a bit like the old P&R silencers, on those the tube was wrapped in a glass/metal fiber (I think) wool that you periodically replaced, on those you could pull the inner tube out. Get a Jap bike and don't break down. 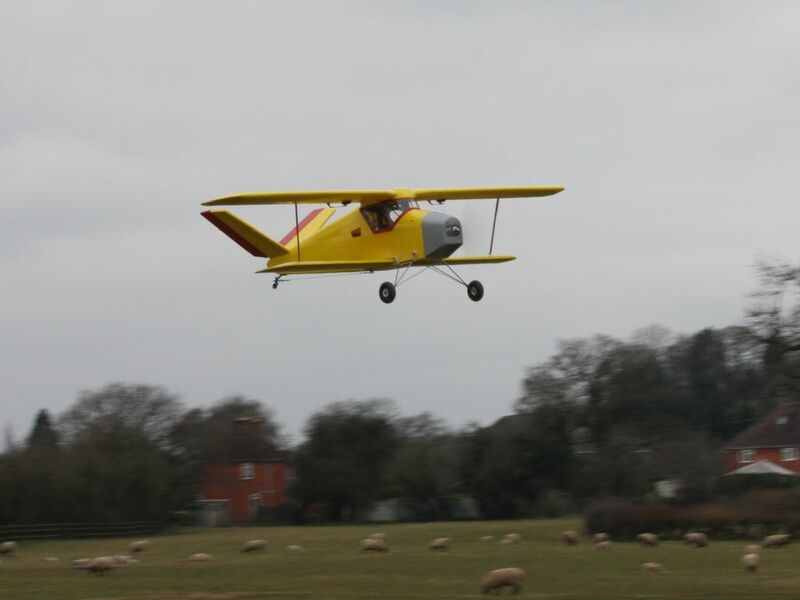 My first RC plane was a Cambria Capstan glider which i used to take to the local slope on my Moto Guzzi V50, a long while ago and I can't remember how I strapped it on.